And we're off! 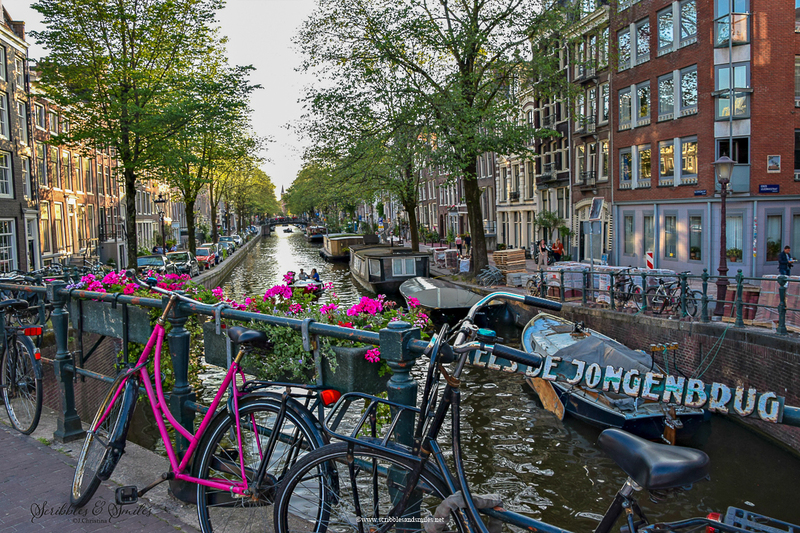 Join our 2018 bespoke journey across six nations, kicking off in handsome Amsterdam, affectionally referred to as the Venice of the North, where we will step into the world of Vincent van Gogh's art and cruise on 400-year-old historical canals, once again. Travel along with J.Christina by plane, tram, foot, private transport, and by European river cruise ship, all-the-while discovering postcard perfect destinations that will linger in your memory forever. 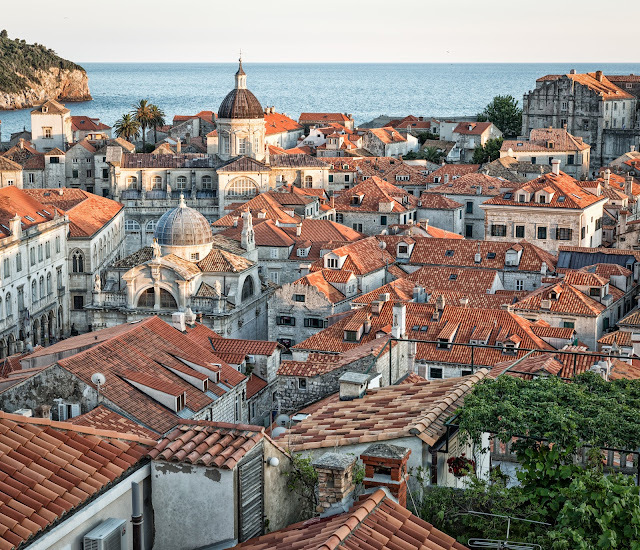 including stops in Montenegro and Slovenia where we will explore the length of this majestic Adriatic Sea coastline. Following the mid-segment of this sojourn as we overland along the Pearl of the Adriatic, traveling south to north, where we will cross the finish line into Venice, Italy. It's a quick stop to regroup, reminisce about Croatia's sights and sounds, while admiring the glories of Venetian architecture while strolling along the Grand Canal. Sadly, we will say arrivederci to Venice all too soon - pushing-on, making our segue on to Bordeaux, France. Join the finale! Come on along and explore with J.Christina in Bordeaux, France, a city with a 2000-year-old history, often referred to as the "Port of the Moon." We will celebrate our birthdays and toast our 25th wedding anniversary, while plying the waters of the Dordogne and Garonne rivers, onboard a European river ship. Arm-in-arm let's complete this final bookend of our month-long journey immersing ourselves in southwest France - one ancient wine village at-a-time. Here we will stroll through picturesque hamlets, admire beautiful medieval villages, taste the terroir, and lunch in historic châteaux. Come on along, travel vicariously from the luxury of your armchair to places some only glimpse on a postcard. Together we will create, capture and record countless shareable moments to last a lifetime. J. Christina is founder at Scribbles and Smiles, travel writer, hobbyist photographer and often a digital nomad. 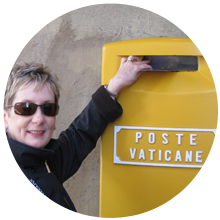 Writing a personal travel blog sharing adventures from Europe and beyond. Christina (Christie) is married to John, a.k.a. Mr. Christie. Where Mr. Christie is right onboard with their travel jaunts around the world - sharing in their blogging endeavors. He supports, encourages, handles gadgetry and embraces the role of editor - hence, their bespoke pen name, J. Christina. After many years of intrepid travel, they thoughtfully opened their treasure-trove of European travelogues, artfully sharing with a worldwide audience. All-the-while, sharing the joie de vivre through their words and images, so others can travel vicariously. J. Christina believes smiling with your eyes is a beautiful thing. You can read their most recent dispatches from aboard an elegant European river ship, sharing the allure of Europe’s great rivers and their capital cities. Or, follow them through serendipitous discoveries in the Cote d’Azur, where J. Christina captures the essence of a perched medieval village. J. Christina’s work has been featured on France Today, Bonjour Paris, The Good Life France, and Perfectly Provence. Wonderful trip! Thanks for sharing. When in Amsterdam be sure to see the Vermeers at the Rijks museum. Thanks for the kind note! Stayed tuned for more.